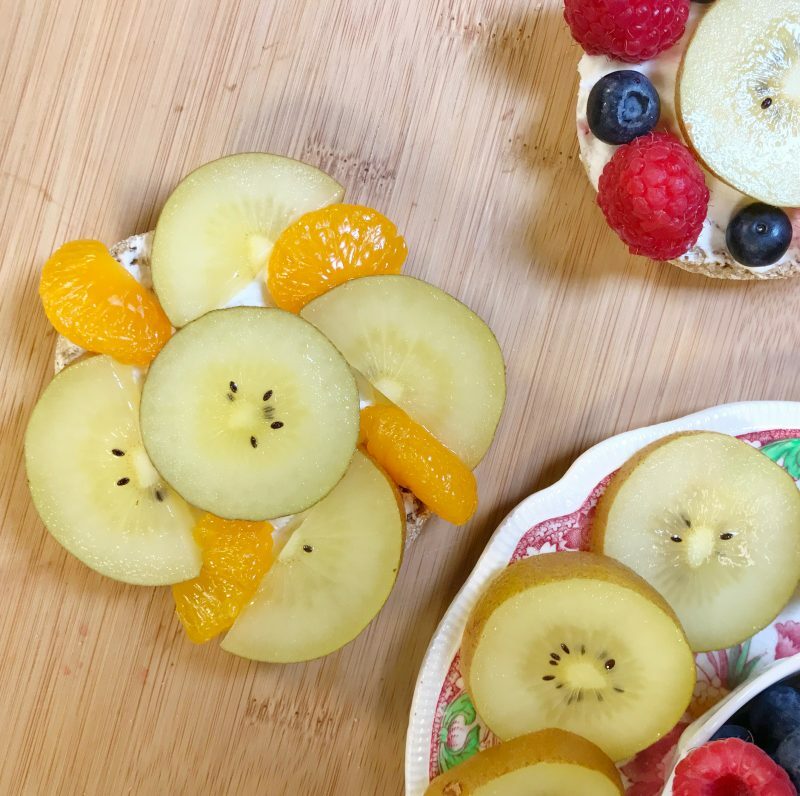 These SunGold Flower Power Fruit Pizzas are a playful and nutritious after-school snack made with whole wheat English muffins, a slightly sweet mixture of goat cheese and honey, and a flower-shaped medley of colorful fruits including Zespri SunGold kiwifruit, Mandarin oranges, blueberries, and raspberries. 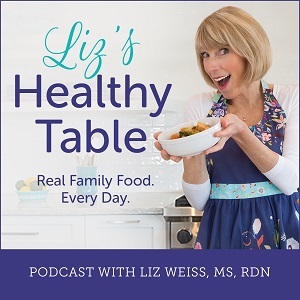 Zespri kiwifruit is a sponsor of the Liz’s Healthy Table podcast, and on this week’s show, I featured this healthy new snack recipe as part of a Back to School Fuel episode. 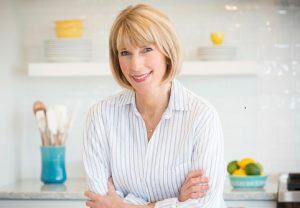 My guest, dietitian and mom, Rebecca Scritchfield, RDN joined me on the show to offer lunchbox packing tips, recipe ideas, and easy ways to add more joy to family mealtime. These healthy snack pizzas look Pinterest worthy, but I’m happy to report that they’re easy to assemble. And your kids can certainly help. Just set out toasted English muffin halves, a mixture of goat cheese and honey (or light cream cheese if you prefer), and a variety of fresh fruit. Let your kids take over from there to create their own flower-studded pizzas. SunGolds have a tropical, sweet flavor and a smooth skin that’s edible. In my family, our favorite way to eat them is to slice in half and scoop the fruit with a spoon. Our second way is to slice and use as a topping on English muffin pizzas, and our third favorite way is to add these sweet little gems to smoothies and smoothie bowls. The nutritional benefits of Zespri SunGold kiwifruit is impressive. Each serving (2 kiwifruit) has more vitamin C than an orange, as much potassium as a banana, 2 grams of filling fiber, and antioxidants. Does the mood in your household get more serious when the kids head back to school? And do you feel frazzled and overwhelmed at times? This recipe is designed to add a ray of sunshine to your family's day. It's super easy to make and its fresh, naturally sweet flavor is guaranteed to lift anyone's spirits. These pizzas are like a ray of sunshine. Slice the English muffin in half. Place in a toaster oven and toast lightly. Slice the SunGold into 4 to 6 slices. Set 2 of the slices aside and then cut all other slices in half. Place the goat cheese and honey in a small bowl and mix together until combined. To make the flowers, place the kiwifruit, orange sections, and berries in three separate bowls. Spread the goat cheese mixture evenly over each half. 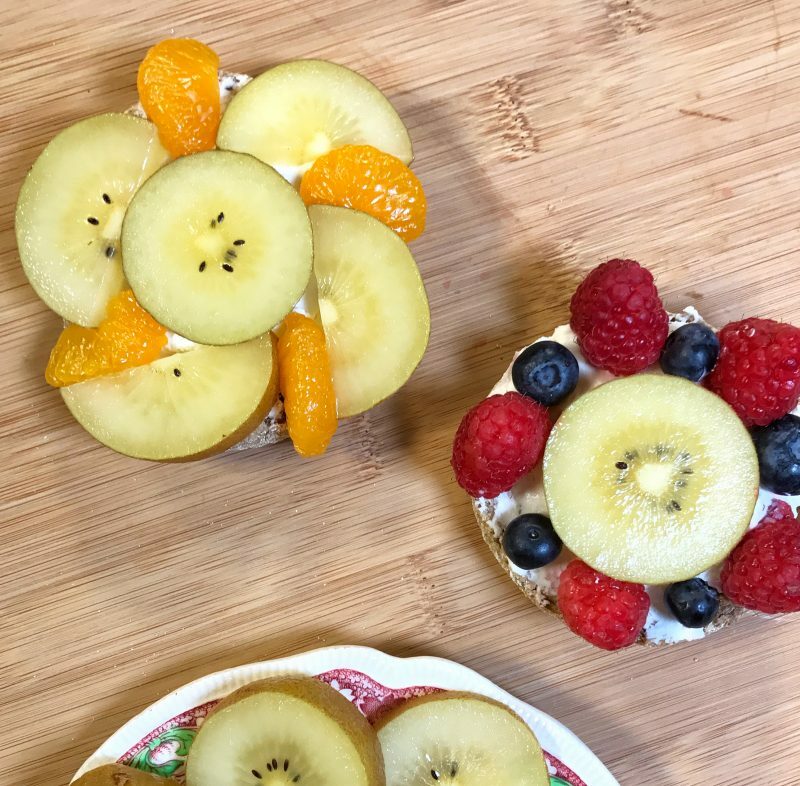 Arrange the fruit in a flower shape on top of each English muffin half. Use the round kiwifruit slices as the center of each flower and the kiwifruit halves as petals. 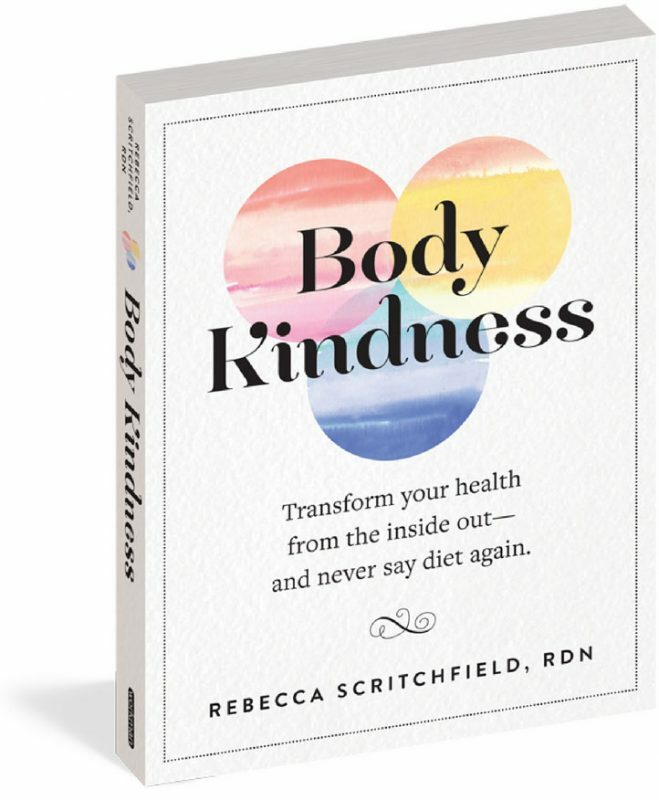 Rebecca is giving away a copy of her new book, Body Kindness: Transform your health from the inside out–and never say diet again. To enter to win (U.S. only, please), leave a comment here on the blog with your best recipe or tip for packing a healthy and joyful school lunch. I’ll pick the book winner at random. Giveaway ends September 1st at noon ET. Good luck! My kids love the traditional English muffin pizzas with tomato sauce and diced leftover veggies. I love making peanut butter and banana sandwiches for lunch boxes. I usually just pack a snack bag of fruit and something savory like goldfish. I wish I could come up with a protein other than nuts and cheese. My son usually wants string cheese, yogurt and baby carrots for his lunch. 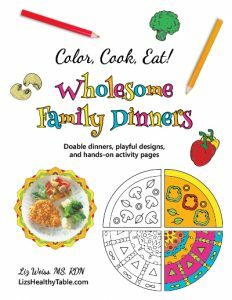 I think veggie pinwheels using whole grain tortilla, light cream cheese with favorite seasonings added, and julienne veggies is a great way to add color and nutrition – while tasting fabulous. They’re fun to add to a Bento-style lunchbox. You could even make the fruit version with chopped fruit and a spread of nut butter on the tortilla or flatbread. For back to school breakfast, my kids love egg muffins with veggies and cheese. They grab one from the freezer and heat up in the microwave. So easy and delicious. I cut up apples with peanut butter for dipping. I like to buy the divided containers and let the kids choose each day a choice in each of the 4 dividers. One divider they pick a fruit, one a veggie, one a protein, and one a grain. (i.e. strawberries, snap peas, cheese cubes and crackers). That way, they feel like they are a part of the meal planning. That’s brilliant. Giving kids the control boosts healthy choices. No doubt about it! I like making pizzas with flour tortillas a the crust. Quick , easy and the kids love them. My daughter loves homemade soups for lunch – super healthy and perfect for chilly school days! My kids love the protein bites made with peanut butter, oatmeal, flaxseed, chocolate chips, honey and vanilla. They also enjoy fruit smoothies with Greek yogurt and spinach blended into the mix. Anything colorful that I can give a personality! Fruits and veggies can be made into shapes that look like faces, peanut butter or hummus makes it stick together. Grumpy faces are the best! My idea is to fit in carbs, fruit, veggie and protein. Toasted breadsticks with hummus on the side with cherry tomatoes and kiwi fruit cut into half. I always pack fruit in my son’s lunch, something easy like strawberries or grapes and a frozen yogurt tube. Thanks for the healthy brakfast recipes and tips Liz.. 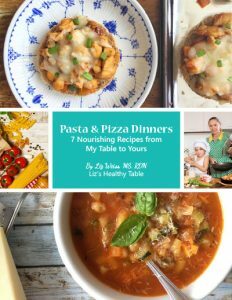 Kid friendly but Good nutrition for adults too! The little fruit pizzas are a wonderful idea, especially that the kids can personalize them. I have found that giving a few healthy snack choices encourages healthy eating. Something good with protein, fat and carbs. Add a little love to that peanut butter and jelly sandwich! We make lunchbox meals together. We plan the menu, clean and chop the fruits and veggies, and bake any special treats. It’s fun to see which combinations she chooses for her lunch. She’s learning how to plan in advance for healthy eating. I could definitely use some help in this department. I have given my boys apple slices with peanut butter and applesauce. But I’m sure they could be a lot better. My daughter likes more fruit then my son but they both love apples!!! Apple a day keeps the doc away, right? I am looking forward to trying this. If these end up tasting as good as they look they will be WONDERFUL! Thanks for sharing! This challenges me to eat healthier, and try new ideas. Presentation is key! I still remember how my mom would crinkle cut my carrots growing up. I still like to cut my own carrots that way! I love including fresh veggies from our garden in lunches! There is always quite a variety and they make for a delicious and nutritious lunch!